Modern styling for instant upgrade. Industry’s highest flow rate delivers optimal shower experience (2.5 GPM). 6 different variation of spray settings for a customized shower experience. EZ Clean Rubber Nozzles - easily clean hard water build-up on the spray nozzles with a simple wipe of your finger. Price Pfister 016-DR1K Dream Handheld Shower system boast outstanding performance it is powerful and modern with an aggressive styling that matches its superior performance. The sleek handheld unit allows for easy installation, and provides a dashing upgrade to any bathroom. 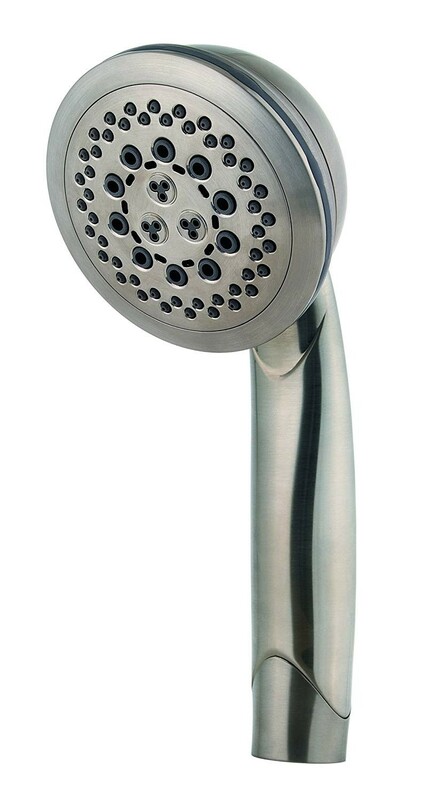 This product has 6 highly-engineered spray settings chosen to optimize the shower experience. Pfister's Dream system is available in three different finishes. Includes 72" mylar hose and shower arm mount.